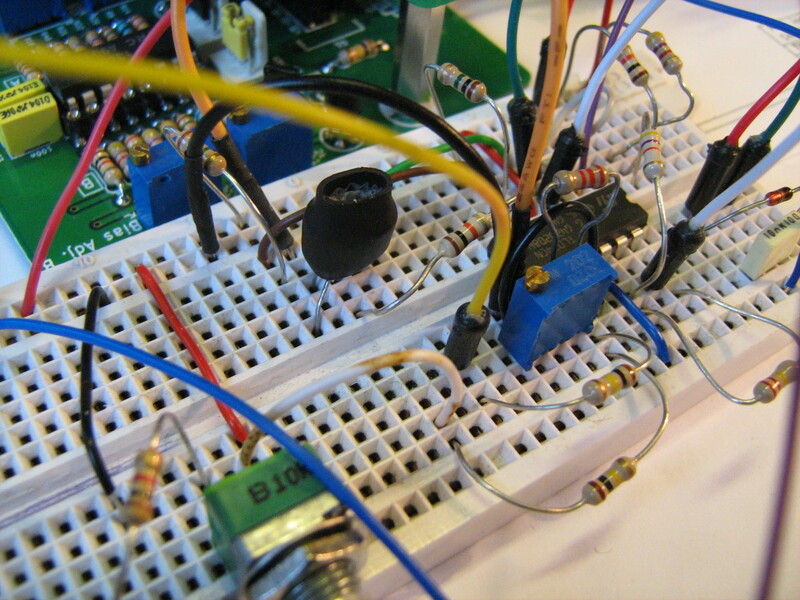 The input buffer and the envelope (release) generator. 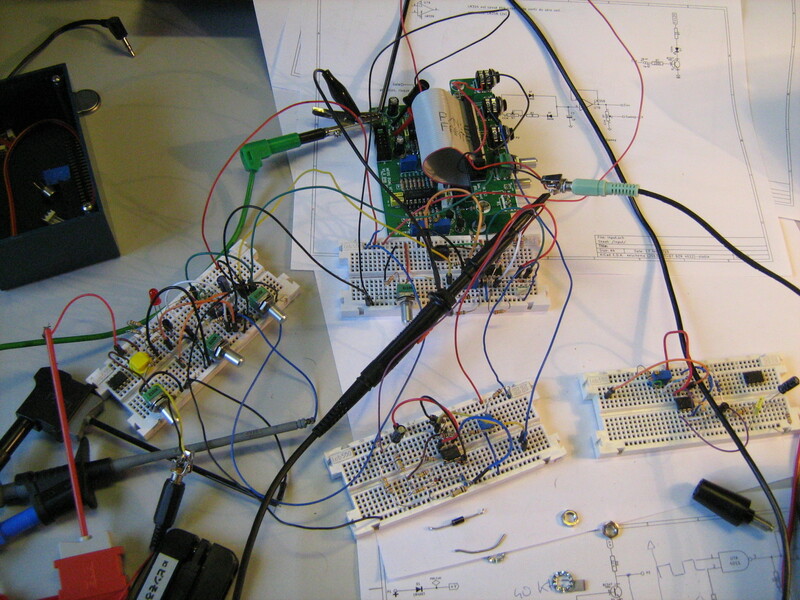 Potentiometers from left to right: Input sensitivity, release and “sweep”. 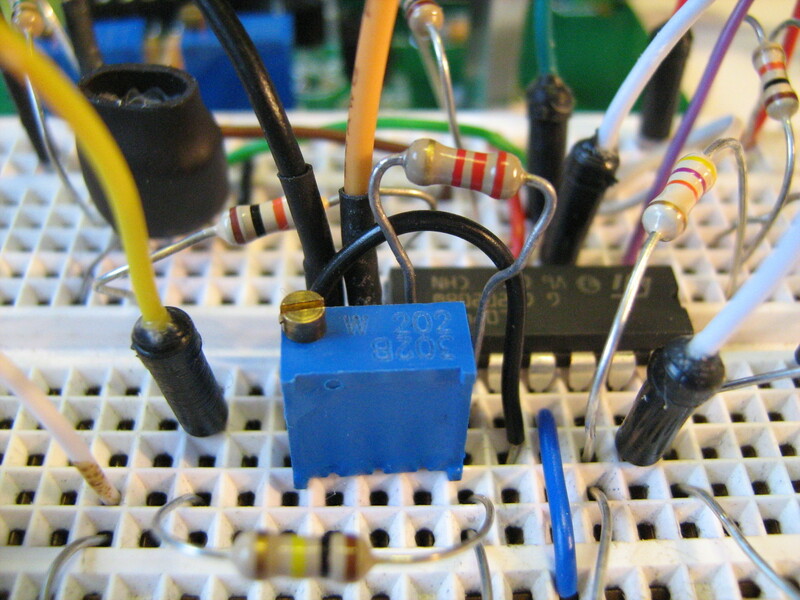 Yes, that’s a VCO! You can see the two BC547 (unmatched) tied together and wrapped in foam and black heat shrink tube. Believe it or not, it’s really stable! The saw to triangle waveshaper. 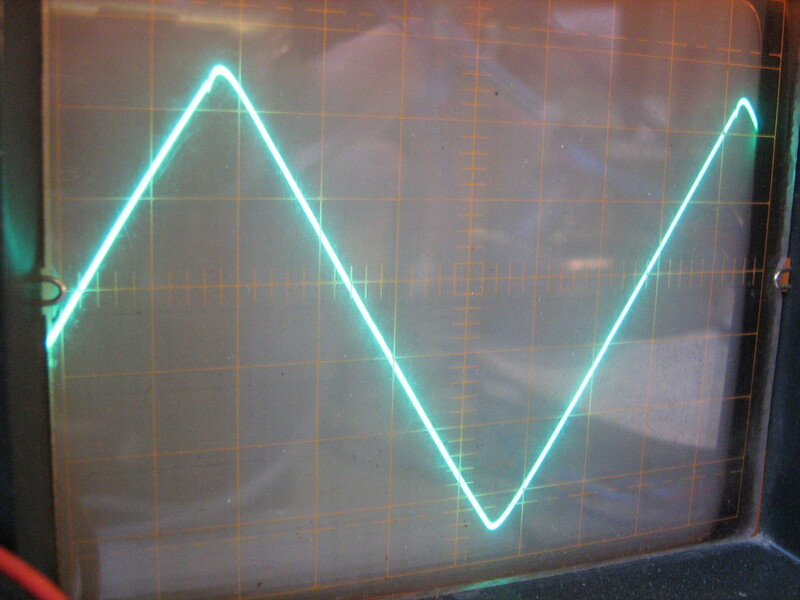 Triangle Waveform, output from the Waveshaper. VCA. I’m still not sure which design I should use. LFO. It shouldn’t be a complicated task anyway. Noise source, but I’ll reuse the design from my previous version, with modifications. 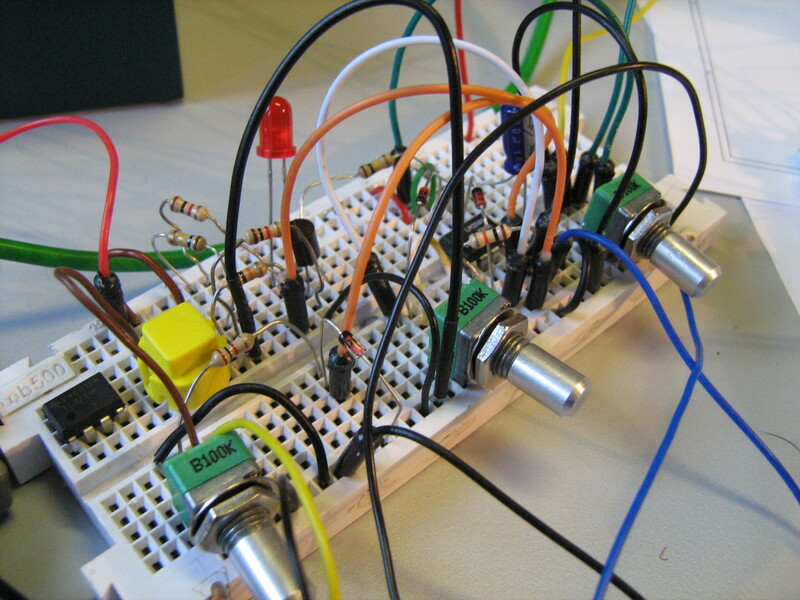 Audio Mixer. That’s a simple task. No problem whatsoever. Now, I’m not sure on the next point: Impact is a major problem on this kind of “drum”. 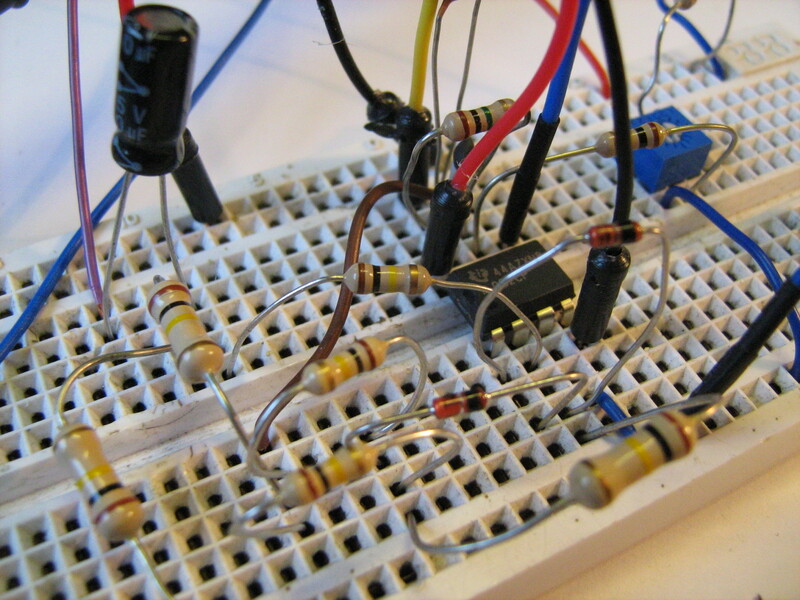 I used an impact circuit based on a design from Thomas Henry. But I’m not totally satisfied with it. I’m pretty sure a VCF with high resonance could do a better job. So I need to dig in this direction.